The first thing is to rub down the the loose rust and get that all off. I cleaned it with a degrease agent, POR15 Marine Clean to be exact. I washed it off and then allowed it to almost dry. Then I applied the Rust Cure and see how it looked and worked. The review has more details on the process but I was please with the results. This has to be stirred lightly and applied in thin coats. I made sure that I worked the mixture into the heavy pitted areas. I smoothed out the bubbles and waited for the application to dry and repeated on the inside. I made sure this was not applied to the brake faces. The change in the colours was amazing to see, as I was watching it and applying it the mixture was changing colour. White, to grey, to light blue, to darkish blue, brown and then a brown black. I have never seen stuff work that fast before. Twelve hours later I applied a second coat as recommend again in a light coating and working into the pitted areas. As I was waiting for the second coat to dry I started on the rear brake drum. This needed cleaning as it looked like the brake fluid or oil had gone everywhere. 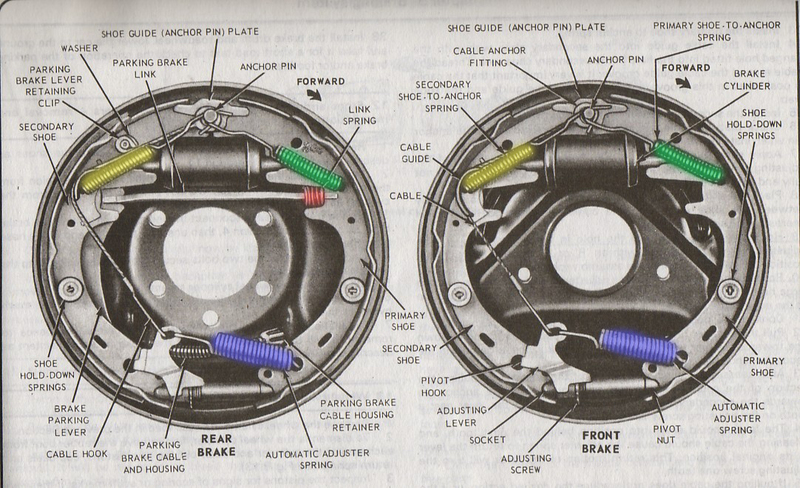 Although this is not the front part of the brakes I have added it here for now so you can at least see what I have been up to. I will move this to the rear brakes section. There are plenty of walk throughs for the brake drum refurbishment, but I have done my take on it. The worst part is getting the two top springs from the spindle in the middle. I bought a Sealey tool designed for the job. It did the task adequately, but the metal was a little to soft for my liking. This seems to be a trend with their tools, to soft. I returned a flaring tool for the same reason! Then I removed the bottom spring, the cable and the locating pins. Once I removed the two bolts at the back for the wheel cylinder i then removed the Rubber gators and removed the pistons carefully making sure I didn’t rip the rubber, they moved with only the slightest of taps.